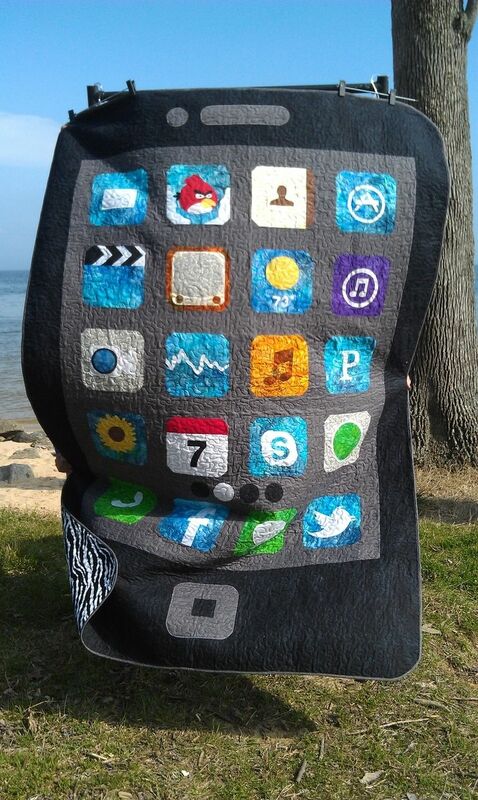 This quilt features a fun interpretation of the popular IPhone by Apple. I selected a soft cotton batting and finished the edges with a bias binding. The quilting is an edge to edge all over stipple pattern. Perfect for napping, college dorm rooms, or to add a splash of color to your bedroom. 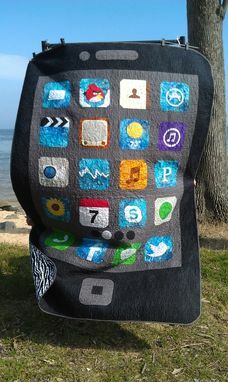 This is not premade, you can customize with your own choice of apps. Just inquiry! All my creations are constructed and stored in a pet free and smoke free studio. This quilt was been pre-washed so no shrinkage is expected. This quilt is 61" x 86" which means it will have an 11" overhang on 3 sides of a twin mattress.